SBPLI Founder | School Business Partnerships of Long Island, Inc.
With a 36-year career as a high school teacher, administrator and assistant principal, Fred was concerned by the gap between the skills needed in Long Island’s business community and the preparation being provided by area school districts. In 1984, a year before his official retirement from the educational system, he founded School-Business Partnership of Long Island, Inc. to address this need. 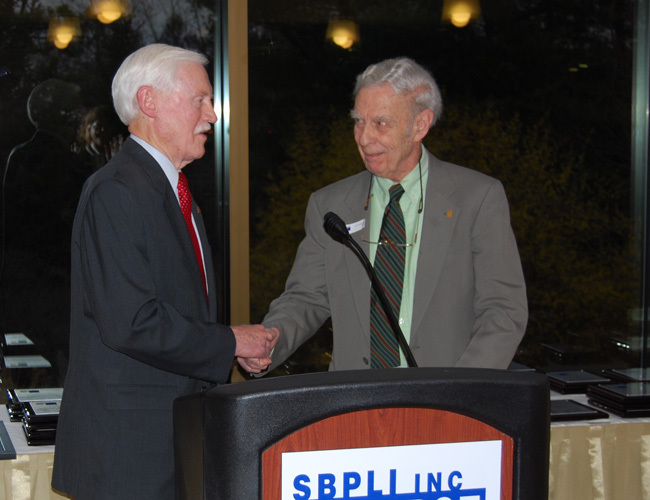 In the first 15 years of its operation, SBPLI formed over 100 partnerships with local businesses. 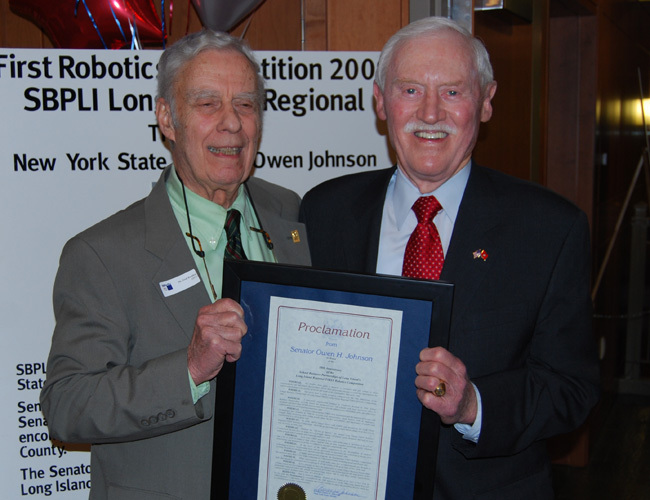 In 1999, recognizing that the future would demand a skilled workforce in career paths in the engineering, science and technology fields, Fred led the effort to bring the national FIRST Robotics program to Long Island to challenge and educate high school students. 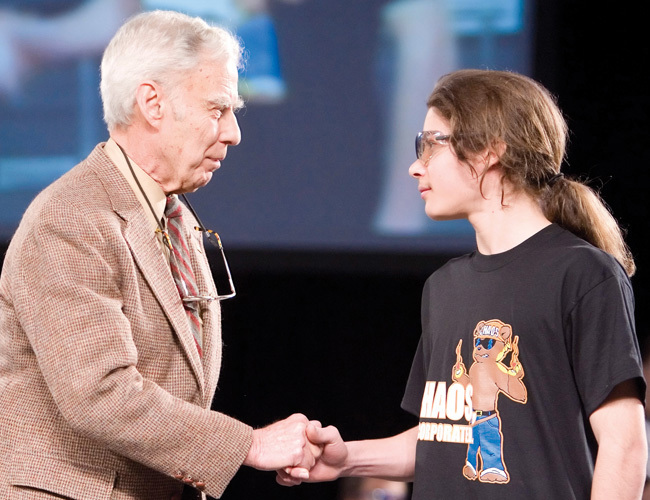 He rallied support, government grants, corporate sponsorships, mentors and legions of volunteers to contribute to the success of the Long Island Regional competition. Some years later, Fred expanded the program by adding the FIRST LEGO® League and Junior FIRST LEGO® League, programs designed to engage younger students. 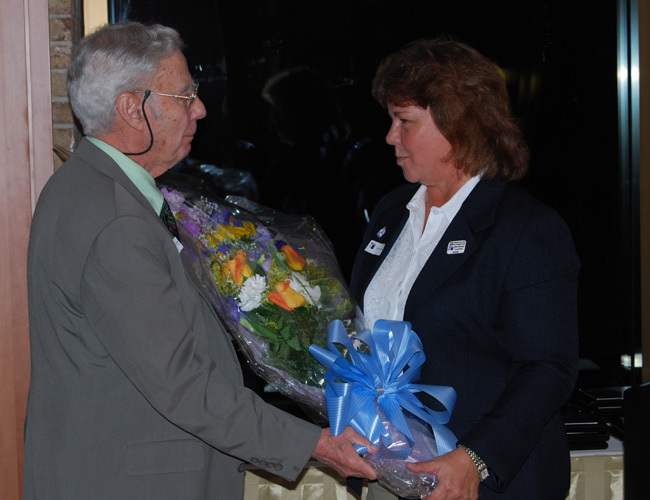 Fred became and remained an icon on the Long Island scene, serving as a role model, unwavering advocate and inspiration for many as he relentlessly pursued his passion. He imbued this vision in his many supporters. 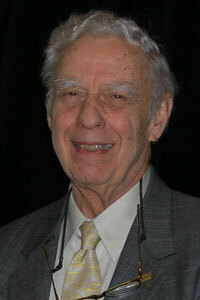 Fred passed away in 2010 at age 84. 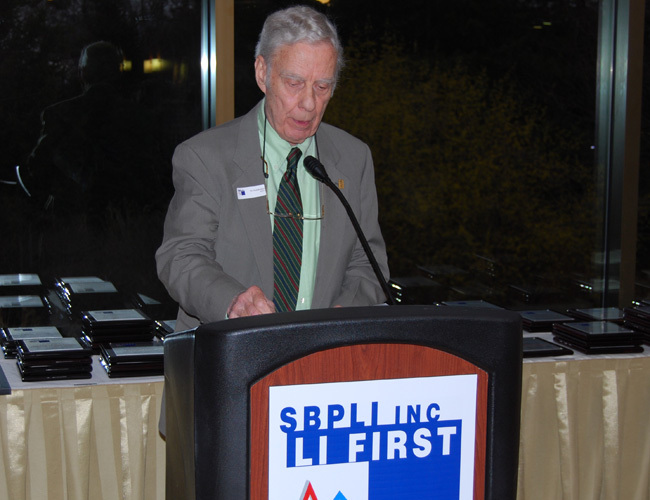 His legacy continues today with the ongoing efforts of SBPLI and the commitment of its many supporters.